It’s April! Can you believe it?! I feel like this school year has literally flown by and I’ll be dipping my toes in the Gulf of Mexico sand before I know it! 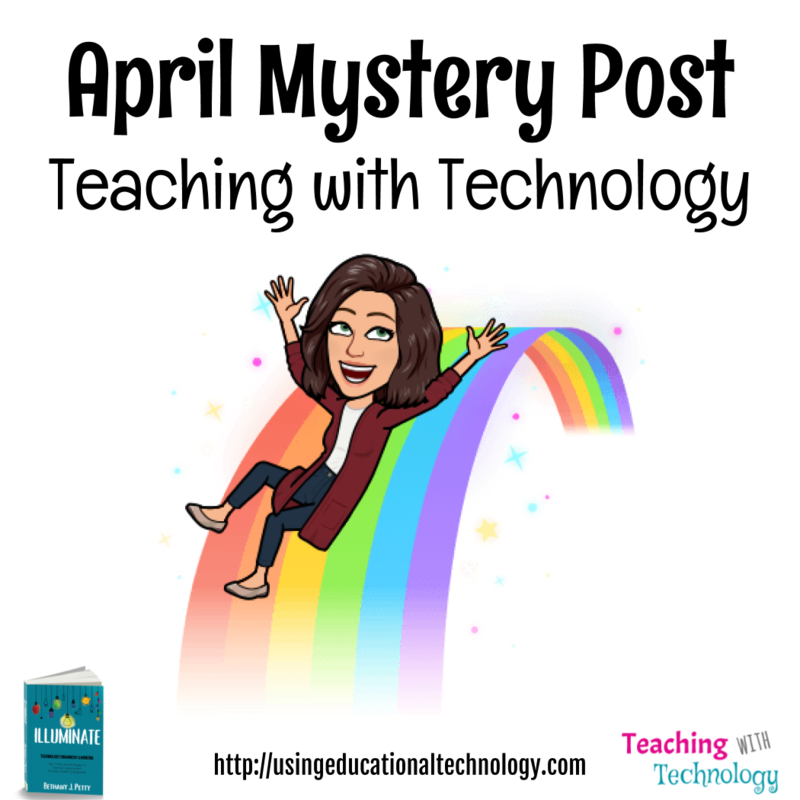 We’re only a few days beyond the beginning of the month, so I’m not SUPER late in sharing the Teaching with Technology mystery post … right?! Without further adieu, here it is! Yes! I chose a tool to highlight this month because it is just darn awesome! Last month, I had the opportunity to share tips and strategies for using Google Classroom to enhance Social Studies instruction with teachers in Rhode Island, Connecticut, Indiana, and Ohio (5 cities in 5 days!) 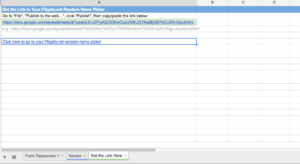 and the BIGGEST takeaway seemed to be the awesome opportunities that this FREE tool provides! 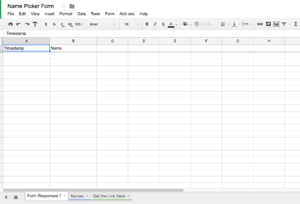 One of my favorite features of this technology tool is that the templates are Google Sheets! That’s right – activities you create through Flippity are stored in your Google Drive — WOOHOO! 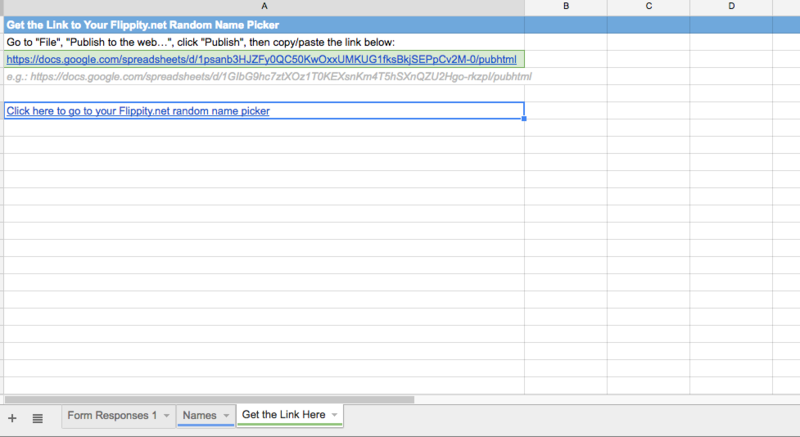 Flippity also offers a Google Sheets Add-on, but I prefer to create my activities using the actual site. That’s it! 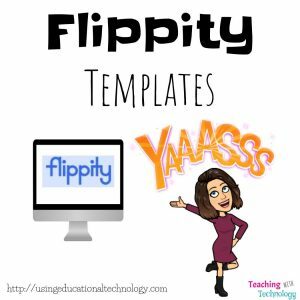 Definitely check out Flippity and add this great tool to your technology treasure trove! Hello, and happy Friday! I’m back at work today after a lovely snow day yesterday … honestly, I was expecting to be out today as well, but we’re here and making the most of it! On election day last week, my students completed an activity that required them to research proposed amendments and initiatives to our state constitution. These ballot measures ranged from allowing the use of medical marijuana, revamping our state redistricting plan, to permitting an increase in advertising for Bingo games. Yes, you read that correctly – advertising Bingo games. My students thought this was HILARIOUS! The fact that our state constitution will be amended to include a (hopefully) politically unbiased redistricting plan, the use of medical marijuana, and Bingo advertising. To celebrate the passage of this amendment, my students wanted to play Bingo in class and advertise it to their peers. Fortunately, Flippity came to the rescue with an easy-to-create and use Bingo template that allowed them to review concepts, apply their learning using examples of concepts in action, and of course, play Bingo! I first blogged about Flippity in 2014 when it was no more than a flashcard creator. 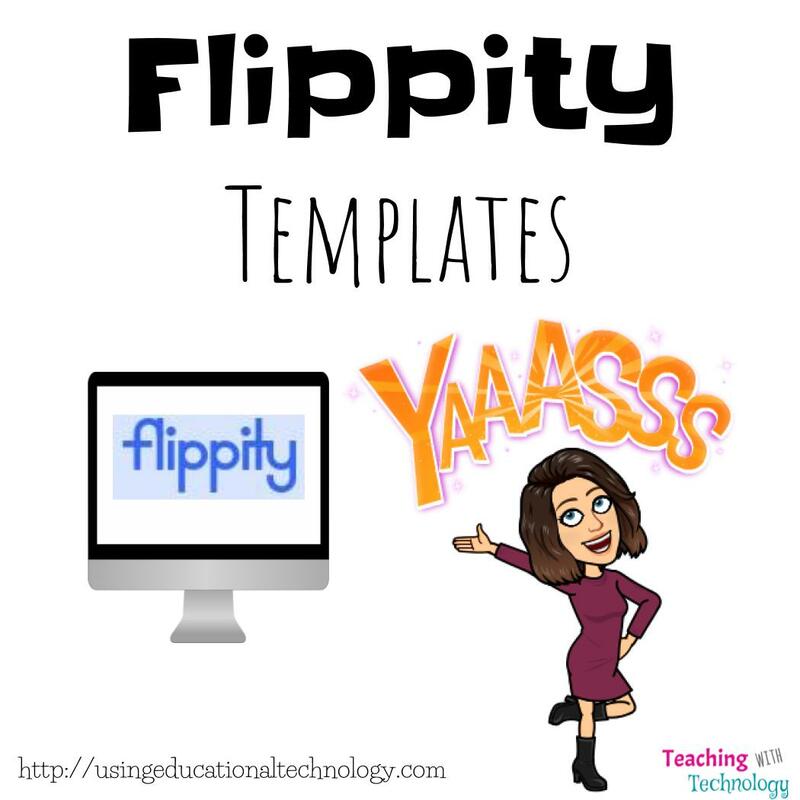 Today, teachers and students can use Flippity templates not only to create flaschards, but also to track student progress, create crossword puzzles, word searches, scavenger hunts, Jeopardy-like review games, and of course, Bingo games. As I share in my book, Illuminate, Flippity really doesn’t get the attention it deserves – teachers can use Flippity in so many different ways to enhance student learning. If you haven’t tried Flippity, yet … put it on your “to-do-asap” list! Hopefully, you’ve checked into the awesome *FREE* product that is Flippity. If not, please do so as soon as possible! You won’t regret it! Recently, I presented at the Superior Tech 4 Teachers conference in Clearwater, Florida … such a great conference! During my session, I was fortunate enough to give three Nearpod Gold subscriptions to teachers who were in attendance. I had roughly 20 individuals in my session, and I was looking for a quick way to randomly select teachers from my session. 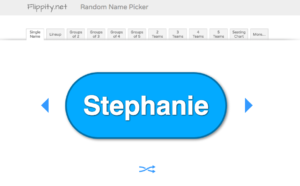 Flippity’s Random Name Picker was the solution! 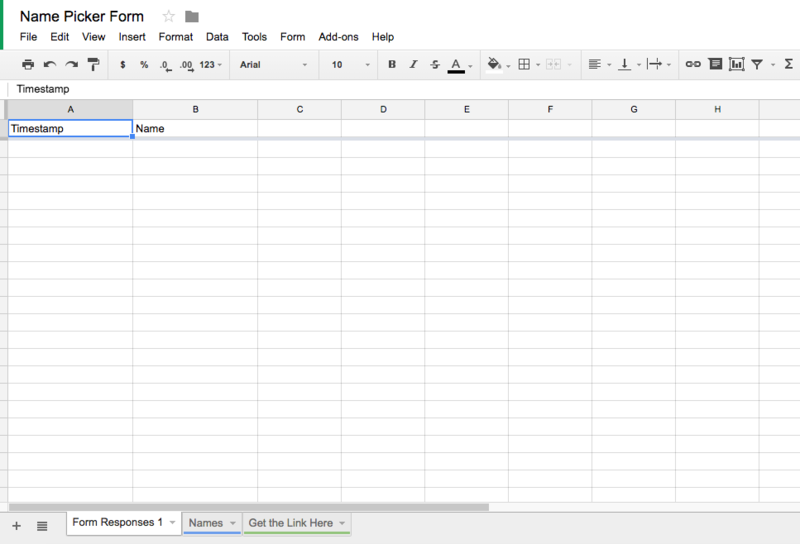 Flippity’s amazing templates use a Google Sheet housed neatly in Google Drive. 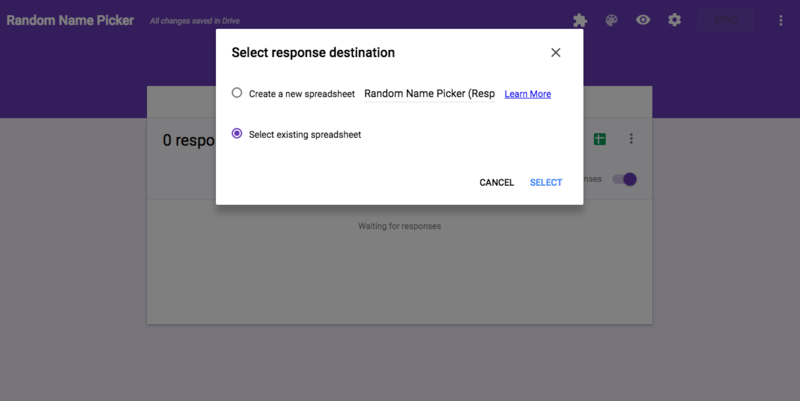 Responses from Google Forms are deposited in Google Sheets. It’s a match made in EdTech paradise! 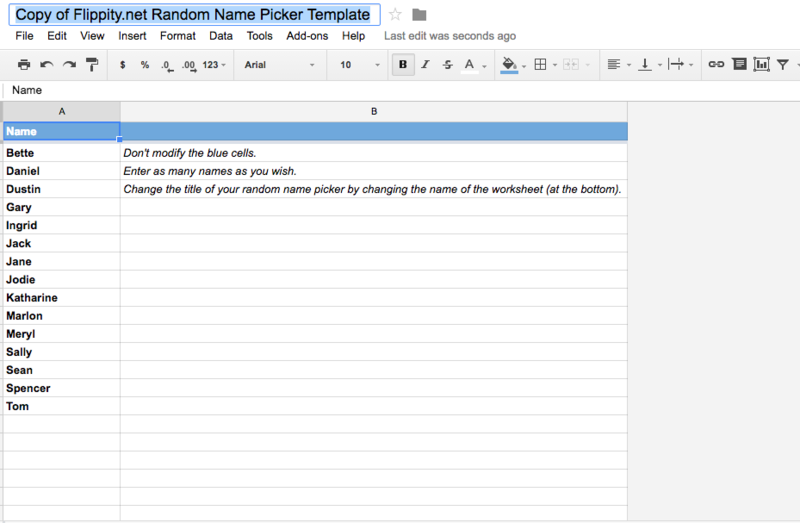 –>> Create a Google Form that includes a “name” question (short answer question form). Be sure to mark this as a required question! 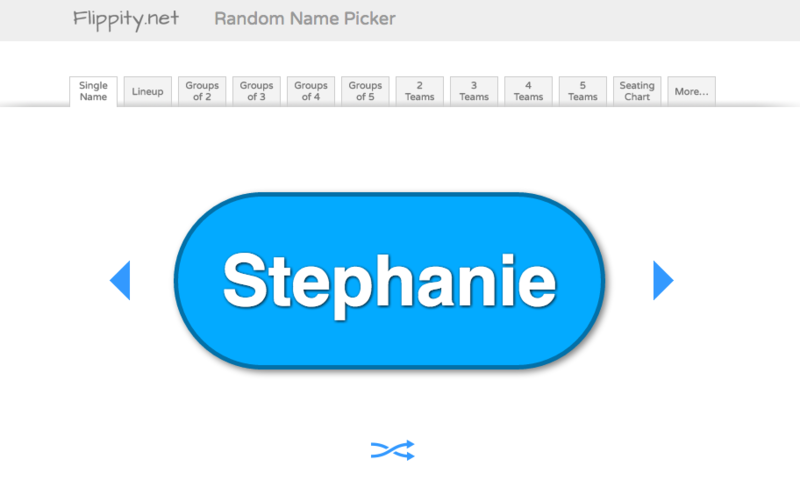 –>> Choose from a variety of name sorting options! Look! 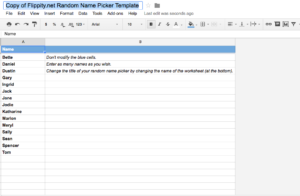 This link will divide students into teams and even seating charts! Wow!! At the beginning of the school year, I plan to send a getting to know you Form to my students. 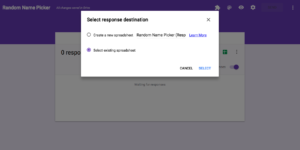 Before I send this, I will use the Flippity Random Name Picker to create a Sheet, and send the Form responses to this sheet. I’ll also have a Bookmark Folder that houses the Random Name Picker Sheet for each of my classes so I can randomly select names as well as create groups and teams quickly and easily! Hooray for technology! P.S. Remember to check out my Google Chrome eCourse!